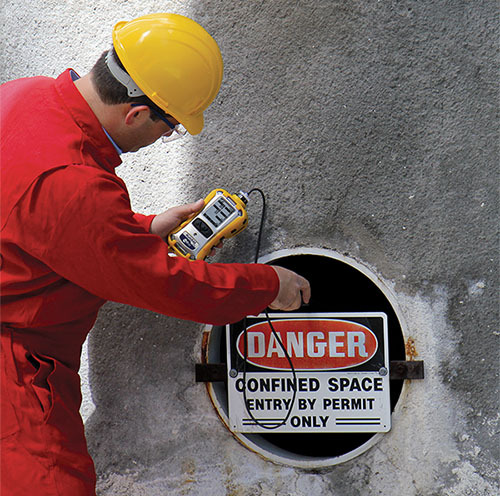 Single or dual gas monitors are available from Geotech which can monitor carbon dioxide, carbon monoxide, hydrogen sulfide, and a variety of additional toxic gases. The sample concentration is displayed in ppm, percent oxygen or percent LEL (Lower Explosive Limit), as applicable. Multi-gas monitors incorporate separate sensors for oxygen, combustible atmosphere, and up to three toxic gases in the same handheld monitor. These monitors may operate in passive (diffusive) mode, or in active mode, in which a pump module draws air across the sensors. Many flammable gas sensors do not provide reliable readings in an oxygen deficient atmosphere. Therefore, oxygen content must always be determined before taking combustible gas readings. Flammable gases and vapors are tested second for fire or explosion risk. Monitoring for toxicity is conducted last. This monitoring process is greatly simplified by using a multi-gas monitor containing sensors for oxygen, LEL, and the relevant toxic gases. The Thermo Scientific pDR-1500 personal DataRAM is a fully integrated, active sampling personal scale instrument with greater accuracy, increased capabilities, low size and weight, maximum ease-of-use and increased operating time. The pDR-1500 personal DataRAM accurately measures aerosol concentration in real-time, with relative humidity compensation, true volumetric flow control and legacy pDR nephelometry. An integrated sample filter enables post-gravimetric validation of data. Specialized landfill gas (LFG) systems are used to extract, collect and control gas migration and surface emissions. LFG field monitoring is important for the safe and successful operation of LFG systems. Geotech offers landfill gas monitors to sample down-well and surface gas emissions at landfills. 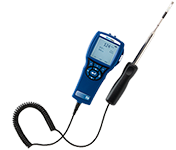 GasCheck handheld gas leak detectors provide stable, repeatable readings of multiple gases and gas mixtures. 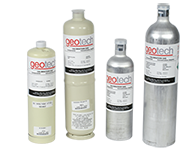 Featuring an advanced micro thermal conductivity sensor, GasCheck effectively detects many gases in ultra-low concentrations. The world's ONLY mercury vapor surveyor, the popular hand-held Mercury Vapor Indicator is established as a firm favorite with a world-wide following. You do not need to know where mercury is before measuring, the MVI finds the contamination and measures it quickly and accurately. The high performance pump lets you know immediately when tiny levels of mercury vapor are present. Highly Accurate Measurement – Other monitors may only be accurate to plus or minus 20%! Very Fast – Almost instantaneous reaction to mercury, other monitors may require up to 1 minute to get a reading!